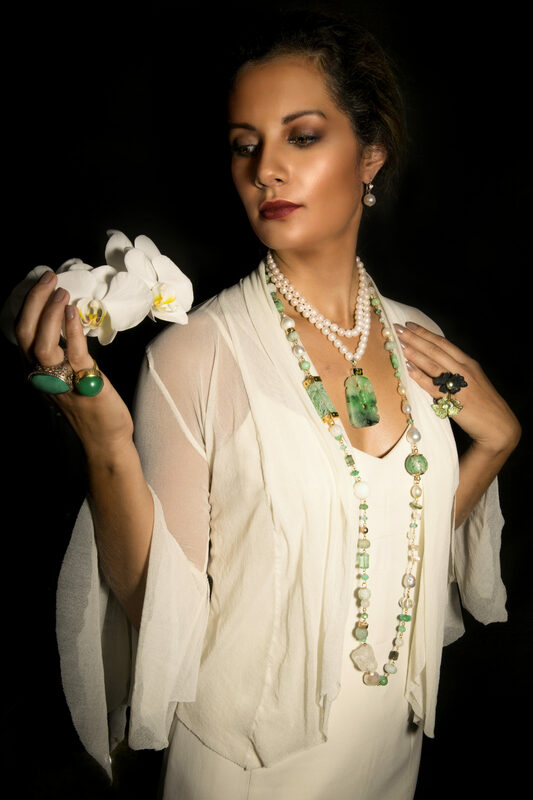 View cart “Green Burmese Jadeite, Green Tourmaline, double strand of pearls” has been added to your cart. 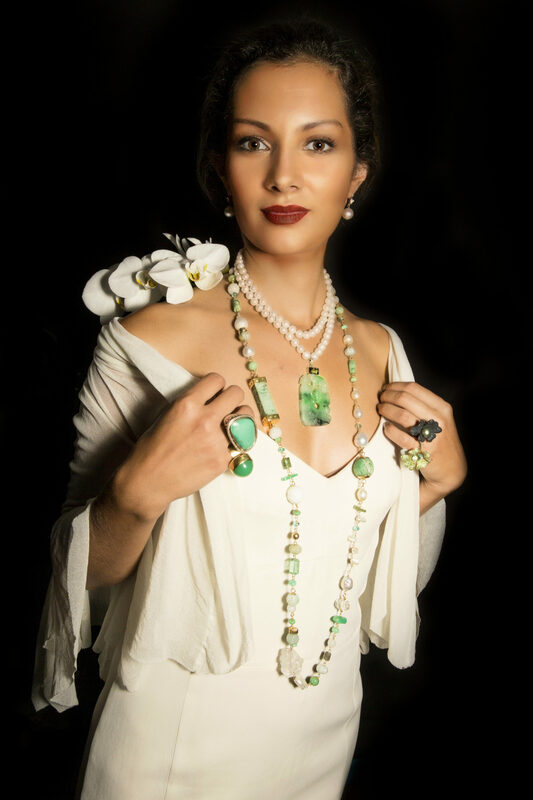 A double strand of gorgeous, lustrous, lovely quality, 8mm freshwater pearls support a faceted green tourmaline & tsavorite garnet and Jadeite pendant, mabe pearl clasp in sterling silver. 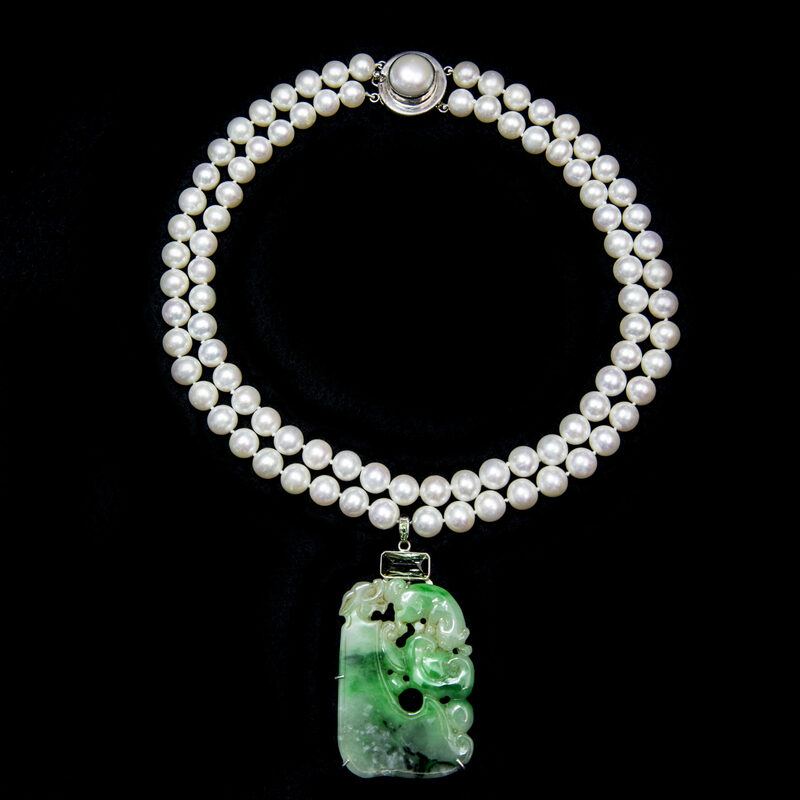 The Jadeite is of a natural colour but has been treated for extra strength.